So the festive season is only days in the past and already we are being bombarded with the whole, new year new you loose weight jargons. And hey if you want to be healthier then thats cool. I just know that so many of us punish ourselves and hold back from doing certain activities or going to events because we don’t fit into ‘that’ goal weight dress or don’t feel we are skinny enough to go swimming. No matter what size you are, you deserve to have fun and we seriously need to change our mindset re our self worth. Just before Christmas I posted ‘Surviving the festive season when you’re single and fat’ and talked about how important it is to reach out to your support system by allowing yourself to be in a positive space, it can make a substantial difference in how you’re feeling. Read through your favorite size acceptance blogs or scrolling through various instagrams of people who have the same struggles as you is a form of support. Surround yourself with your own crowd. International supermodel, swimsuit designer the list goes on. Ashley keeps it real on her social media with behind the scenes glimpses to her life, her body, continues to empowering women by showing them to be proud of their bodies. She’s hilarious on her snapchat and you’ll have photoshoot location envy all the time. Oh and Mattel made her a Barbie! You’ll probably recognise Megan Jayne Crabbe from her array of viral photos that have broken the Internet. She openly speaks about life as a recovered anorexic and aims to help others change their mental attitude towards themselves. From body-positive quotes to her own anti fat-shaming inspirational photos, this girl is a burst of sunshine on any Insta feed. USA Plus size model features plenty behind the scenes glimpses and this babe has an impressive swimwear collection. Honor, a 6’2 blonde bombshell body love advocate, will not only inspire you to start loving your body, she will make you chuckle as well. With witty quotes, chic selfies and funny memes. Founder of Honor My Curves™ Yoga and an avid runner this babe shows the world that anyone at any size can exercise. I also love how other peoples posts are shared on this profile too. If you have a big bust then you need to follow this British babe. She is the go to gal for fabulous lingerie and swimwear. Her posts and reviews are honest which I love. This Aussie beach bace celebrates her natural beauty, from her curves to her natural dimples, by putting them front and centre. Whilst looking amazing AF! I hope “bold” moves like this one become the “norm” one day. Founder of the #FrenchCurves challenge and French leader of the #BodyPositive Movement, Gaelles Instagram is fun, fashionable and packed full of snippets of her fabulous life. Watch this space because this gal is on the forefront the plus size fashion and body confidence realm. She’s really active on snapchat and instastory, which of course is fashion filled but also has behind the scenes of her life. Often find myself giggling at the snaps of how the neighbours cat sneaks into her home for snuggles. All hail the flatly Queen. Can pop anything into a photo and make it look desirable. Which is an impressive talent! This uber stylish babe is based in sunny Melbourne Australia, has a snuggly golden retriever, a hot bearded boyfriend and an amazing wardrobe. Life goals. Oh and she can cook too! This Brazillion babes Instagram is packed full of photos featuring her enjoying life wearing her swimmers in both candid and professional plus size model shots. I love how in the candid shots theres visible cellulite, such a positive page to follow especially for the in-between gals between plus and straight size. From her gorgeous backdrops and outfits to her body positive messages, her account is one you must follow. You’ve no doubt seen her hilarious videos on Facebook too, often find myself giggling away when she tests out weird beauty trends. I would love to raid Margies wardrobe. This NYC urban babe has the best collection of short shorts and accessories. She wears what she wants how she wants and looks amazing whilst doing so. It’s no wonder she’s a style icon. And a singer too! If I had to pick just a few favourite plus fashion Instagrammers, Flossylox would make the list without hesitance. I’m always recommending her to people! She knows how to both dress up and dress down while still staying true to her urban style. What I love about Jo is that no matter if she’s plus sized or in-between this Aussie babe has style. She runs a rullebreakersclub where us gals are encouraged to wear everything society says we shouldn’t, proving there are no ‘rules’ when it comes to fashion. Wear what you like with confidence. And she’s totally body positive! Win Win. Creator of #purebodylove NYC Jezram is an advocate for women to work out and live an active life. Did I mention that has amazing style too, all of her photos look BOMB! Fuller Figured Bust documents the playful and dynamic life of Birtish babe Georgia Horne. Georges feed is filled with lingerie reviews, corsets, behind the scenes from shoots, body positive messages and her adorable pet rats. Another babe with many talents, a mumma, therapist, model and confidence coach empowering women to love themselves just as they are. Her insta is jam packed with feel good pics and uplifting messages. If you haven’t heard of Jessica Kane, where have you been? Here’s the low down. Body confidence fashion blogging pioneer. As seen on CNN, Oprah, Today Show, Inside Edition, Lucky Magazine and more. AND one of my best friends. 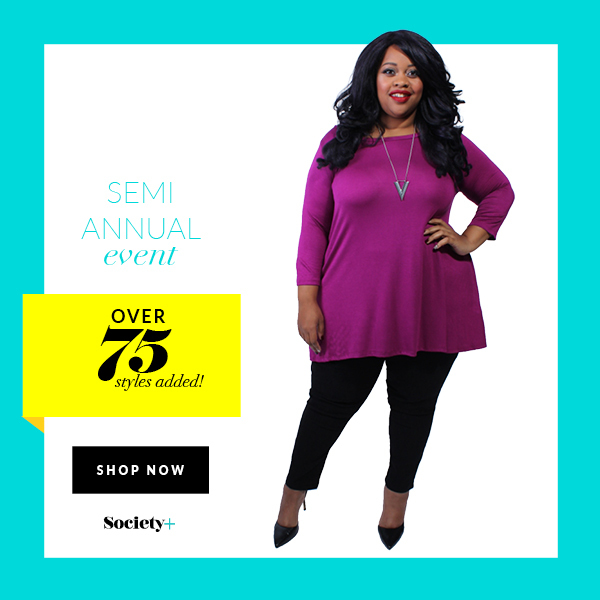 What I LOVE about Jess is she is one of the few designers who use models over a size 20 and her range goes up to a size 32. Blogger who is totally body posi, features lots of swimwear and cool accessories. This Chicago based babe exudes girl power and always looks super glam. In this space Candice personally catalogs some of her favorite looks, trends, and even share beauty and styling tips. While her pin up style and style tips are keen favourites of mine, what’s most appealing is her openness about her the ups and downs of being plus size. Also another animal lover so not only will you have outfit envy you’ll want a cat of your own too. Melbourne plus model proves simplicity is key with her laid-back style. You’ll lust over her colourful edgy outfits, I just love how she matches prints perfectly. It’s defiantly a talent. With an immaculately curated Instagram , QLD blogger Melissa expertly mixes and matches offbeat pieces to create a unique, elegant look. Another babe per perfectly pulls off wearing runners with cool outfit. Toronto based Kenzi shows us her journey following her impressive weight loss transforming her life. Totally a body loving babe keeping it real from the gym to the bedroom. I first spotted Allison as a model for Society Plus. While most news feeds during the summer revolve around tired ideals of ‘bikini bodies’, this midriff bearing babe definitely knows a thing or two about beauty beyond size because she absolutely rocks everything she wears and encourages everyone else to do so. Natalie is an inspiration for so many women and a credit to the bodyposi world. She’s been around since 2001! Her insta is an array of colourful outfits, openness about mental health, beauty products and my fave, animals! Choose Life Warrior is so open and honest about her mental health, body image and her journey to accept who she is. A role model for so many people, especially for those suffering with disorders, this in an account not to be missed. Where to start, this NYC babe was one of the first in the industry with a voice promoting change in the industry. Maddy gives fellow fashionistas a look into the life of a real bawse woman. Not only is she the editor of Plus Model Magazine, she’s a mother,wife, model and mentor who still manages to attend VIP events and work out with her trainer. Now, that’s true success. This Danish babe breaks all those ‘curvy girl fashion rules’ while giving fellow fashionistas a peek into her trendsetting lifestyle and extensive makeup collection! Her mix of dressy and casual make for interesting outfits and serve as great inspiration! And make up goals guys. Kiwi babe started her blogging journey as a resource to plus size women who couldn’t find the latest trends in their size and her Instagram provides the same service. A leader in living a body positive life, while our thick thighs can often be a source of discomfort about our curvy image, Meagan leads by example and proudly embraces hers! Oh and she is the Queen of wearing stripes. Nsw coastal babe which means she lives in bathers and looks fabulous doing so. 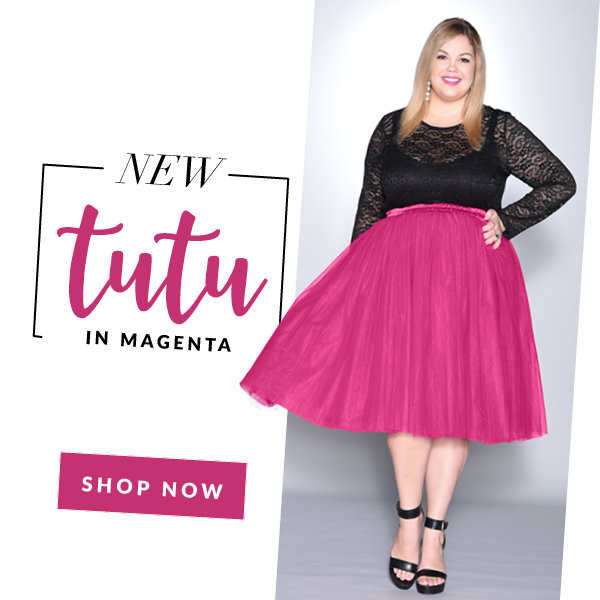 You may recognise Tia, she’s all over Aussie shopping centres having worked with many plus size brands. Her social media embraces all things happy and living an active life. Oh and she has a cute dog called Budda. I must admit I look forward to her daily snaps with his cuteness. Giving the middle finger to traditional standards of beauty, this account features women with unique style, and inspirational quotes challenging the way in which we perceive beauty. An positive body account specifically for body loving. An no airbrushing of course. Director of @nyatadesigns and has launched a new swimwear range which is fabulous! This babe not only runs a lifestyle blog that caters to plus size women but is also a columnist for Marie Claire UK. Using this platform, she uplifts other curvy women to celebrate their fashion and live a more fulfilled and curvaceous lifestyle. Another Melbourne babe! This curvy babe uses her social media platform as a way to express her colorful fashion style while uplifting fellow curvy women. Her mix of dressy and casual make for interesting outfits and serve as great inspiration! From modeling on the warm sand to effortlessly chic active outfits, she’s got you covered. Melbourne babe Elyse’s instagram is stunning photographic evidence that not all plus size women are unhappy with their bodies. You guys know all about me. There’s quite a few more people I plan to add to this, Tess Holiday etc. This post was meant to be 10 people. I just couldn’t stop adding amazing babes to the list.